Ara Atkinson-Skinner has over 33 years in the visual communications field. She thinks of herself as a “creative problem solver”. Her curiosity fuels her imagination. Her earliest recollections of creativity was around 5. Thinking her baby sister would look pretty with bangs, she gave her an asymmetrical haircut that immediately got her mom’s attention, but not in good way! She also cut her own bangs too—just in time for her first grade photos. 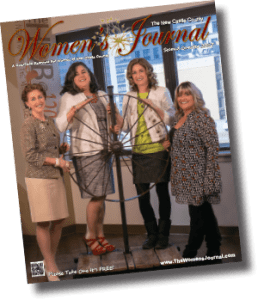 Later around 12, learning embroidery came in handy when enhancing Wrangler® jeans by hand embroidering her own designs using satin, chain and French knots stiches. Home Economics and shop played a huge role to exposing her to various tools and building her diverse skill set, creating a valuable creative arsenal. In 1984, with some college in the Engineering and Drafting curriculum at Del Tech, she was hired by W. L. Gore & Associates, a Fortune 500 company. Her memorable moment was meeting “Bill” (Wilbert Lee Gore) the founder. In short, he shared an action plan for her using all of her creative talents– setting her on a course of great contributions that help secure millions in sales. During her 23 year stint with Gore, she finished the Visual Communications Program at University of Delaware while working with Gore’s finest leaders, engineers, attorneys, product specialists and HR. She traveled and studied illustration/design with some the most coveted artists in the industry, such as: airbrush artist Michael Cacy (NIKE®), Society of Illustrators Hall of Fame, Mark English, the late Bill Vann (Anheuser Busch®) caricaturist C. F. Payne (books and TIME® covers, etc.) and countless others. Venturing out in 2002, she was awarded her first commission from the City of Wilmington for the Clifford Brown Jazz Festival. In 2003, she went part-time to create space to pursue similar projects. In 2007, her Gore area was downsized. Scared, but feeling blessed that God had something else in mind, it was time to start her own business! Over the years, she has received awards for her work, designed several mechanical pieces, garnered a couple trademarks and her first patent (co-inventor). Presently working on her own patent-pending design project. This June marks her 10th Anniversary– creating original unique impressions for her discriminating clientele, making them and/or their products unforgettable! Carol has a diverse professional background much of which has focused on prioritizing the needs of women in our community. Previously, as a Certified Financial Planner and Certified Divorce Financial Analyst, she guided clients through the maze of many decisions necessary during important life transitions such as divorce, the death of a spouse or partner, or caring for aging parents. For over 25 years she helped countless women make critical financial decisions, especially during these pivotal points in her life and, while she truly enjoyed helping women in this role, Carol is delighted to have transitioned her skills into the real estate business where she continues to provide important guidance, especially to women in need of a trusted advisor who has a full understanding of the financial decisions that go hand in hand with the purchase and sale of real estate. As a real estate professional, Carol brings her unique blend of creative and innovative marketing skills together with technology and strategy to help clients make some of the most important financial decisions when buying or selling a home. And as the Founder and Chief Visionary Officer for the Network to Encourage Women’s Support 4 Women, best known as NEWS4Women, Carol supports locally owned businesses and nonprofit organizations with events such as Wine4Women, a networking event where guests ‘Sip to Support’ a designated nonprofit each time. Her nonprofit involvement also includes current or past service on the boards of the Delaware Theatre Company, the Delaware Coalition Against Domestic Violence and the Delaware Financial Literacy Institute along with numerous committees and projects throughout our nonprofit community and she is a Fund for Women Founder and a member of the Forum of Executive Women. Carol’s business skills have been featured in The New York Times, The News Journal, Delaware Business Ledger, Delaware Business Times, Delaware Today magazine, Forbes.com, MSN.com, Barrons.com and WSJ.com and she was recognized as the first Business Woman of the Year by the New Castle County Chamber of Commerce. Lori chose to stay in Delaware and continued onto becoming a stylist and soon became an educator for Graham Webb, a pivotal moment in her career. She also was an educator for Sebastian International and Joico Color Systems. In the hair industry, it is a huge honor to be hired by these companies to be an educator because it means they trust your skills can relay their vision to the masses and feel that you are the best representative for their company. All of these advanced training positions give Lori an edge in training her staff to a higher level. She purchased her first salon in May 2000 from Carlena. A year later it became Fusion. It has been Lori’s privilege to grow this salon with some of the most talented team members Wilmington has to offer. Her team at Fusion has a progressive eye for the industry and are skilled in interpreting today’s trends on their clientele so they look their best. Lori’s team also has a lot of fun with their love of photo shoots. Fusion’s most recent undertaking was a Pinup girl calendar that has been for sale with the proceeds going to Faithful Friends of Delaware. “I have to say it is truly major magazine quality”, Lori said with pride. 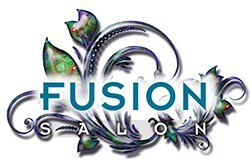 Lori believes in helping the community we live in so there are several charities Fusion has supported. This year’s focus is Faithful Friends and New Beginnings (anti human trafficking). Mimi is the Founder and President of Lyme Yarnbombs, Inc. A new 501c3 nonprofit charitable organization that uses yarn to raise Lyme disease awareness. Lyme Yarnbombs’ mission is to educate, raise awareness and bring hope to Lyme patients suffering from chronic symptoms. Delaware is among the top 14 states for the most Lyme diagnoses. Her organization shares facts from the International Lyme and Associated Diseases Society (ILADS). See ilads.org for more information about Lyme. ILADS Lyme guidelines are approved by the Institute of Medicine and listed in the National Guidelines Clearinghouse. Yarnbombing is a form of street graffiti using yarn instead of paint. Lyme Yarnbombs provides events called Yarnbomb for Lyme! Since May is Lyme Disease Awareness month, at 10am on April 29 (rain date April 30) Newark has given them permission to give parking meters along Main Street lime green sweaters called yarnbombs. Volunteers make a successful event by knitting, crocheting, installing or de-installing Lyme yarnbombs. Most of them are from Delaware but some volunteers are mailing their hand made yarnbombs from Texas, Rhode Island, New York, Pennsylvania, Maryland, Illinois, Minnesota and even England! Each meter will receive a Lyme yarnbomb and a weather proof name tag displaying a Lyme fact and logo of the business or name of person/s sponsoring that meter. Doylestown, PA and Schenectady, NY are having Yarnbomb for Lyme events in April too. Volunteers are always welcome! Sponsors are needed to make Newark’s event a success! ILADS, Royal Pest Solutions, Precision Arts, Inc., Christiana Flower and Gift Shoppe, Potstickers Asian Grill and Sushi Bar, Lyme Disease Association of Southeastern PA and Deer Park Tavern are event sponsors so far. Each parking meter on Main Street needs a sponsor. ‘Sponsor-a-meter’ for $50 each. 50% of parking meter proceeds will go to the International Lyme and Associated Diseases Education Foundation (ILADEF). Contact Mimi for more information or visit www.lymeyarnbombs.com. 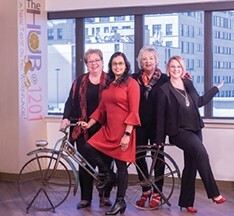 This issue, our People in Profile were photographed by Shannon Adelson of Adelson Media, Inc. When you look at the beautiful photos that he did for us, you will see why Shannon is one of the top photographers in Delaware. Shannon Adelson has been doing photography since he was a child and has always been involved in the arts. He has been shooting semi-professionally since 2005, and officially opened his own business, Adelson Media, Inc., in 2008. In addition to photography, he has a background in managing, marketing and social media for online retailers. When an opportunity to shoot entertainment events presented itself, he decided to follow his passion and begin full-time with Adelson Media, Inc.
Shannon said that the process of taking pictures has always been fun; but recently he discovered the joy and wonder of making portraits. Using creative compositional elements like light, color, framing, gesture, expression, and depth of field. Every image can tell its own story. We would like to thank Lori Davis, of The HUB TM @1201 A New Twist on the Workplace! TM, for hosting our profile photo shoot for the New Castle County Women’s Journal. Stat International added a Co-Working Center located on the 8th floor of the Commerce One Building in downtown Wilmington. They put in all the modern conveniences to support any business owner; The Hub has all the luxury of a traditional office at a much lower cost. You should make it a point to check out The Hub! Call Lori Davis at 302-573-2528.